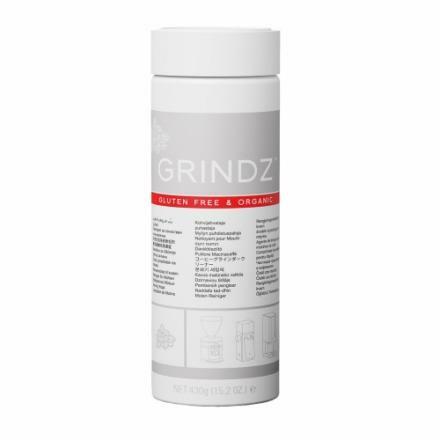 GRINDZ™ is the first ever cleaner for coffee grinders. The product is a proprietary formula of grains, cereals, and pharmaceutical grade binders in a coffee bean shaped tablet. When ground through your coffee grinder, the product gently dislodges coffee particles while also absorbing coffee oil residue. There are only food safe and edible ingredients in this product. As a result, the product presents no risk is residue is consumed and it will be flavor neutral to your coffee. 430g/jar. 12 jars per box. Here you will find detergents for coffee, espresso and shop grinders.